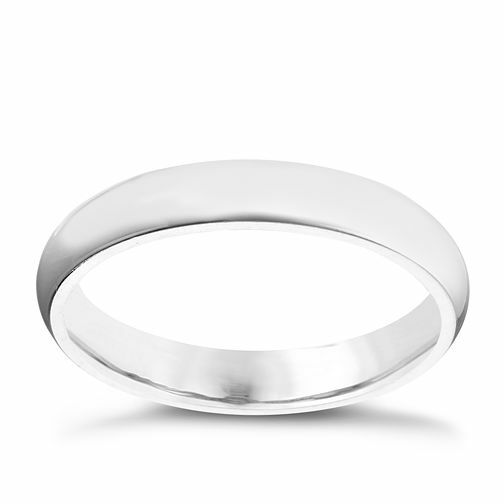 This simple yet elegant super heavy weight wedding ring has a width of 3mm and a court finish for extra comfort. The 950 hallmark indicates its 95% purity. A naturally white, tarnish resistant and hypoallergenic metal. Palladium 950 3mm Super Heavy Court Ring is rated 5.0 out of 5 by 2. Rated 5 out of 5 by Anonymous from My wedding band! Simple, elegant yet sturdy and robust. Can't wait to wear this ring when I get married this year! Rated 5 out of 5 by Lolly from Just what I was looking for I bought this ring to be my wedding ring. I wanted a delicate band with a nice weight and I cannot wait to wear my ring. Delivery was excellent. I feel like this ring was very good value as well as being shiny and pretty!